How do I get started composing? Begin by composing for the performers in your local area. Contact the most capable instrumentalists and/or vocalists and ask them if they would be willing to perform a new work. Find out as much as you can about their capabilities and preferences. Then take these limitations into account as you write. If possible, show them portions of the piece as it progresses. In other words, involve the performer(s) and establish a good working relationship. Why not just write for myself to perform? If it is within your means, it is better to let others perform your music. The ability to accurately communicate your intentions through notation is an essential skill. 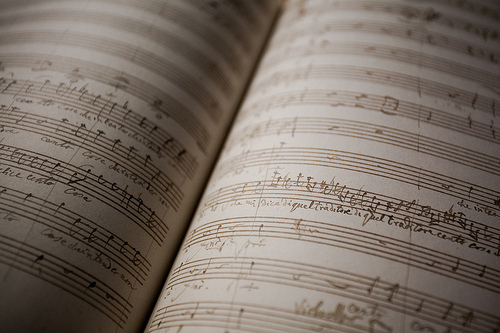 Although composing itself is a solitary task, the capacity to work well with others in the performance, recording, publishing and promotion of your music is critical. What if I can't I get anyone to play my music? In the beginning you must create your own performance opportunities. Start with just one person. Try to interest that person in a premiere. Rather than composing a work and afterwards searching for the performer, it is better to first find the performe r and then tailor the work to his or her needs. Let's say you have some friends who are giving a recital. Maybe they would be willing to include a newly-composed work on their program. If all else fails, you can perform your own music, if you have the skills. Some composers -- Steve Reich and Philip Glass in particular -- have organized their own ensembles because traditional venues were closed to them. OK. I have a performance date for a premiere. How do I proceed? to bring the piece to its completed form well in advance of the performance date, thus giving the performers the maximum amount of practice time. This should go without saying, but most wait until the last minute only to be disappointed by an under-rehea rsed performance. to finish the score, incorporating any small changes that come up in rehearsal. A work is not complete until there is a neat copy of the score (and parts). to obtain the best possible performance and performance conditions. to get a high quality tape recording. Always arrange for the best equipment. Use metal or Type II cassette tapes for copies.